Barry is CFO for Antares Capital. Barry joined Antares in 2015 from 40 North Management where he served as chief operating officer. Prior to that role, Mr. Giarraputo was with Apollo Global Management as an executive officer, chief accounting officer and controller, and CFO at various Apollo subsidiaries. Mr. Giarraputo also managed Apollo’s global treasury and valuation functions. 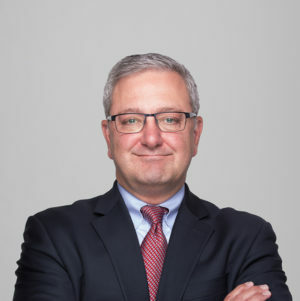 Prior to Apollo, Mr. Giarraputo was a senior managing director with Bear Stearns and started his career at PriceWaterhouseCoopers. Barry earned his BBA in Accounting at Bernard M. Baruch College.